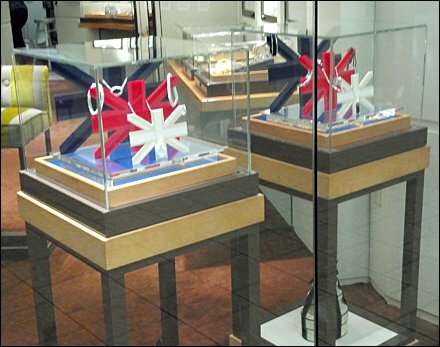 This Union Jack Jewelry Museum Case Display concept is a British Invasion of Window Dressing at Links of London, complete with stylized Union Jack. Did FixturesCloseUp fly me to the UK for a shot of the store windows? Not a chance. We’re on a budget here. 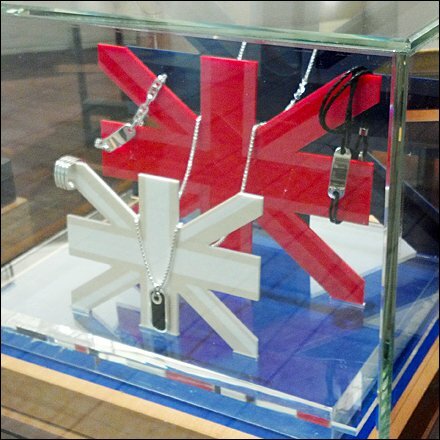 This is from the Union Jack Jewelry Museum Case Displays and Links of London at the Mall at Short Hills, New Jersey. See the thumbnail for another view.